I do like the Hearing Dogs folk. Here's their partnership of the month story. Over the past 30 years, Hearing Dogs for Deaf People has relied on the generosity of the public to help fund over 1,600 hearing dog partnerships. This includes people who have kindly left a gift in their will, which has helped to create partnerships like 11-year-old Sam Russell and his hearing dog, Ember. Since being introduced to Labrador Ember in 2011, Sam – from Lytham St Annes – has seen his own confidence levels rise dramatically, and even Sam’s teachers have seen a big change in his development. 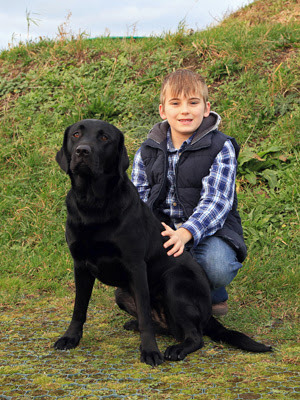 Sam – who has a severe hearing loss – was one of 12 deaf children to benefit from a pilot programme introduced by the Charity in 2008 to evaluate the impact a hearing dog would have on the lives of deaf children and their families. The results of the programme have been overwhelmingly positive and we are now looking to place more hearing dogs with deaf children. There are currently around 45,000 deaf children in the UK who could benefit from the life-transforming levels of independence, confidence and companionship that a hearing dog brings. Sam – who is one of triplets – said: “Ember has made me feel more safe and secure. I didn’t engage into conversations previously but Ember helps me meet new people – they just come up and stroke her. I am just amazed. Sam’s mum, Jane, added: “It’s great to see Sam grow in confidence. He would never have talked to people who he didn’t know previously, whereas now he is quite happy talking to people about his dog. 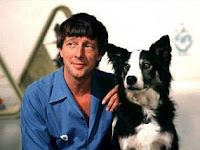 He is a great ambassador for Hearing Dogs. The lifetime cost of a hearing dog is around £45,000. The Charity is non-government funded and we rely on gifts in wills to fund half of all our partnerships. To find out how to leave a life-changing legacy, please click here.